Top Channel is a national commercial television station based in Tirana, Albania, founded by businessman Dritan Hoxha in 2001. A part of Top Media Group, in January 2008 Top Channel was awarded national frequency coverage by making it the third such channel in Albania. 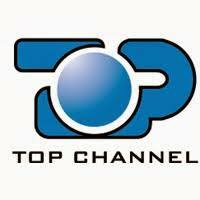 Since September 2003, Top Channel has been present on satellite by broadcasting all over Europe through Digitalb, and North America through TV ALB and Shqip TV. The channel is available through IPTV in Europe and North America, and through local cable in Switzerland. Top Channel forms part of Top Media Group together with Top Albania Radio, Top Gold Radio, My Music Radio, daily newspaper Shqip, Shqip Magazine, part of pay TV platform Digitalb, Top News, VGA Studio, musicAL, and Imperial Cinemas.